Classes have a strong focus on technique, strength, flexibility and precision. Students learn to execute various skills such as turns, kicks and jumps and learn clean choreographed routines. Rhythms and timing are a main focus of tap classes. Students start with basic rhythms and build upon them to expand their skill levels and improve technique. Ballet is the foundation of dance with a strong focus on discipline and technique. Classes enhance students form, strength, flexibility and turnout. Jazz, funk, hip hop is a fusion of strength, style and individuality. Classes are high energy and fun and give students the opportunity to find/develop their own style. Classes are a mixture of Ballet and Jazz with elements of yoga. Their is a strong focus on musicality, technique, strength and flexibility. Lyrical is similar to ballet, combining technical elements of classical ballet with the freedom, expressiveness & fluidity of jazz, contemporary & modern dance. The focus of Lyrical dance is on conveying musicality & emotion through movement. A combination of dance, acting, song & dialogue. Students will be able to watch/learn about musicals and learn routines set to songs from these musicals. A class designed to strengthen students skills through stretch & strength exercises. Students will work on turns, kicks, leaps, pirouettes etc. There is no dance routine in this class. This class is for students wanting performance opportunities. Students must also enrol in Ballet & Jazz to be accepted into the Performance Group class. 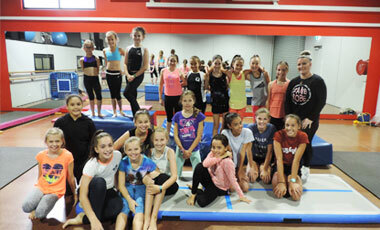 ACRO is based on gymnastics and is a fun but challenging class. Students will develop their form and strength which will enable them to execute skills such as cartwheels, flips, walkovers and no handed cartwheels and more! ACRO enhances students performances and gives them a competitive edge. Classes cater for all skill levels as students are able to move at their own pace and increase skill level when they are capable/ready. DANCE on Q follows the Royal Academy of Dance (RAD) in Classical Ballet. Exam classes encourage good technique & strength by following the syllabus and understanding the progressions through each grade. Students do not need to participate in exams to move up to the next grade. 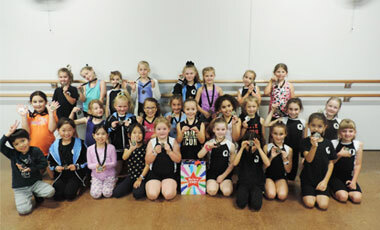 Our Castle Hill dance classes for Petite Performers are aimed at PRE-SCHOOL aged students from 2 – 6 years. Incorporating the use of fun and colourful props classes are entertaining and energetic. We aim to teach children the fundamentals of song and dance whilst exploring their creative side and building confidence, awareness, balance and imagination. 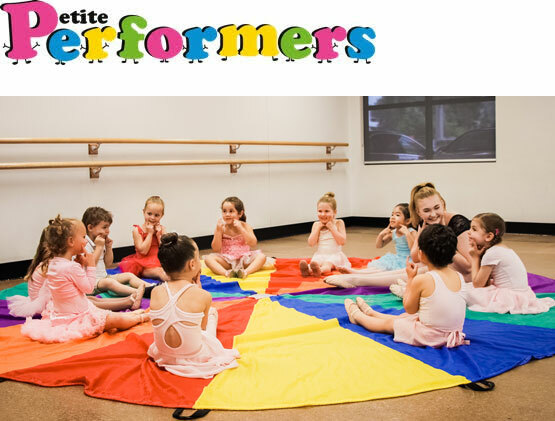 Petite Performers is not only the perfect start for children in the performing arts industry but a great hobby and a place to meet new friends. Casual and term attendance is available. Classes run for 40 minutes see TIMETABLE for information on when to attend. 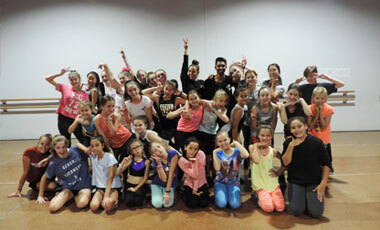 DANCE on Q holds various School Holiday Performing Arts Workshops throughout the year. Our workshops are open to girls and boys aged 5-18 years even if they do not attend DANCE on Q. Classes are conducted by industry professionals and are a productive and fun filled experience. Please email us for current workshop dates.